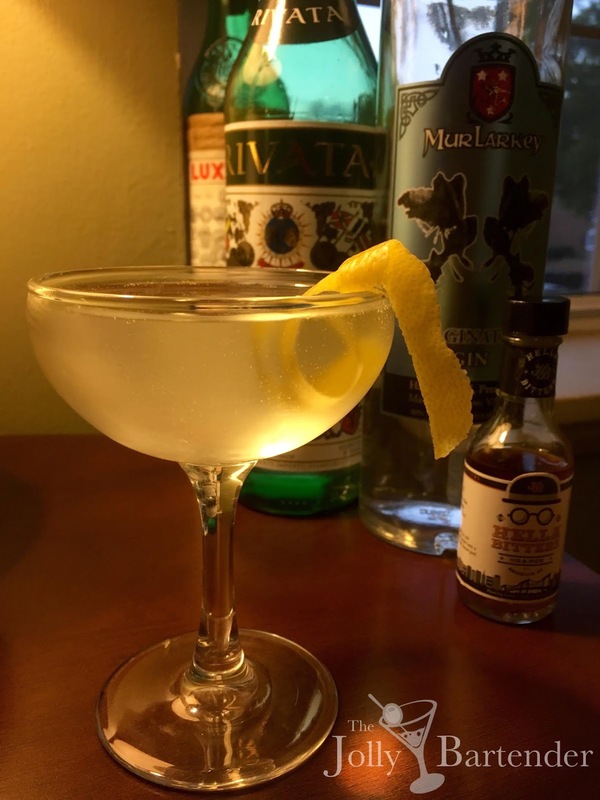 What a classic tasting gin cocktail! All the bitter and sweet flavors are in perfect balance in the Silver Cocktail. The maraschino liqueur, though in small quantity, really goes well with the bitterness of the dry vermouth and gin. Orange bitters, also in small quantity, link up with the lemon twist to send the drink in a citrus direction. It's bold and interesting, yet not so strong as to cause you to wince. All evenly spaced. Maybe that is why this cocktail is called "silver," despite there being no egg white to affect the color. Combine all ingredients except lemon twist in a shaker with ice. Shake and strain into a chilled cocktail glass. Garnish with a lemon peel twisted over top.